I've had ombre hair on and off since late 2011 and I've always done it myself. 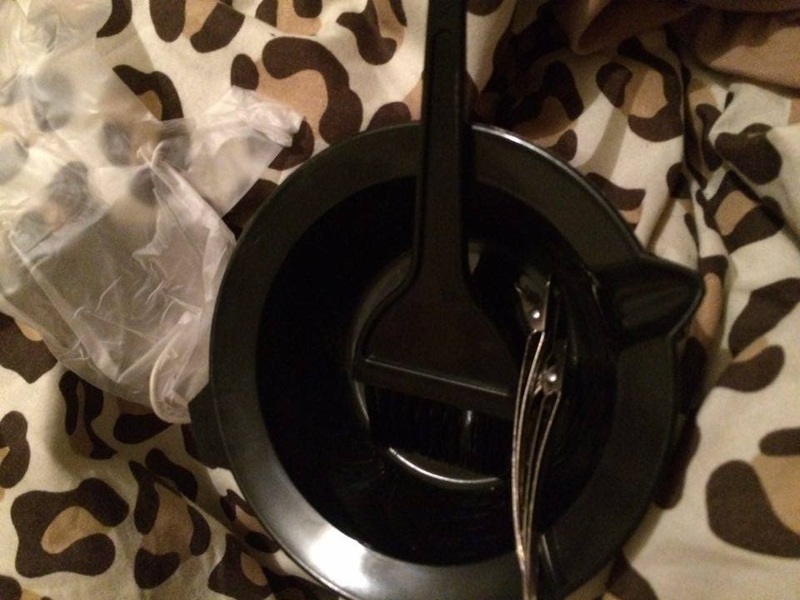 I've perfected the method by now so I thought I'd share how I do my hair! I'm not a professional by any means, just a regular girl who likes to save money. Bleaching your hair will damage your hair, but we can ameliorate the damage as much as possible by following proper steps and a good aftercare routine for your hair. First, you want to trim off your split ends or give your hair a decent trim before you ombre or else you'll be bleaching the hair that you're just about to cut off so it makes sense to cut first. Make sure to brush your hair out fully. It would make sense to wash with a clarifying shampoo prior to this but it's not essential. Next you should cut your foils. 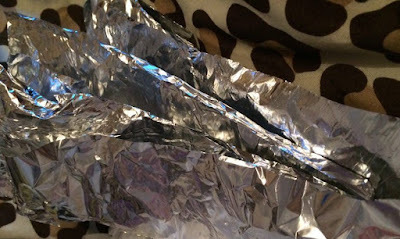 Cut your tin foil into long relatively thin strips. If you have longer or thicker hair then you will need more strips. Now it's time to pop a towel over your shoulders, secure it with some separating clips if you have them. Mix your powder bleach and cream peroxide in your bowl - definitely open the windows and make sure that the room you're in is well aired generally as you don't want to be breathing these fumes in in a poorly ventilated area. Brush your peroxide mixture onto the parts of hair that you'd like to bleach. Start at the ends and work your way up - it doesn't have to be neat at all as ombre hair isn't neat! After you've covered each section then wrap it in foil. Once your whole hair is done wait between 30 - 90 mins, lifting the foil every so often to check the colour of your hair. Remove the foil when your hair is your desired lightness, but no longer than 90 minutes. Use a toner. This is a temporary solution and may not remove all the yellow hues. However, toners do not damage your hair so can be used as much as you like. 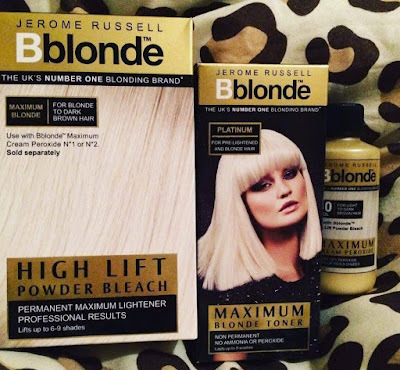 Use a Light Ash Blonde permanent hair dye. This will last a long time and the pigments in this particular colour of dye will counteract the yellow tones in your bleached hair perfectly. Enjoy your gorgeous ombre hair!